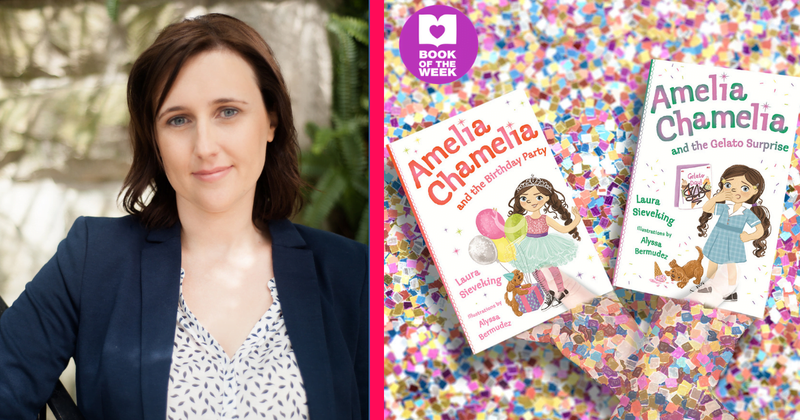 Amelia Chamelia is just like any other year three child at Ferntree Grove Primary. She has a brother Oliver and sister Clare, lots of time for her friends especially her best friend Willow, and a dog called Percy, and most of her time is spent on fun activities, parties and games. However, there is one thing about Amelia that is special, very special. When she gets angry, when someone does the wrong thing or something is unfair, some very curious things starts to happen– first a tingling, then once she starts to feel cold, her secret power takes hold and what comes next can only be a thrilling adventure! 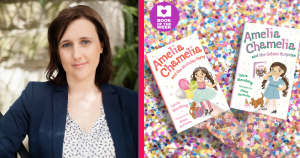 The first book in the series, Amelia Chamelia and the Birthday Party, introduces little readers to Amelia’s world and her secret power that emerges on her eighth birthday. There is a lot of excitement around planning the perfect party but when her mum insists that Amelia’s naughty cousins come along and there is a mishap with her invitations, trouble starts to brew. Can Amelia make sure that her party is the perfect day with friends that she hoped it would be? The second book in the series, Amelia Chamelia and the Gelato Surprise will also be available in bookshops this month and it is an equally delightful, magical tale. Amelia has started learning Italian at school and to celebrate Italian culture and as a reward for the students, a Gelato Day has been planned. Everyone is very excited about the prospect of eating delicious Gelato, but Principal Howe has made it clear that if there is any hint of bad behaviour the special day will be cancelled. When someone starts graffitiing around the school, the outlook is grim and Gelato day is in the balance. Could it be the new boy Harry Truffle, who doesn’t seem to want to play with anyone? Maybe Amelia can use her secret power to find out who the graffiti bandit is and save Gelato Day? Alyssa is a born and bred New Yorker living in Tasmania. She studied illustration and animation at the Fashion Institute of Technology for undergraduate and graduate courses. As an illustrator and art teacher for students aged 5-75+, Alyssa strives to put the KA-POW into stories and learning. 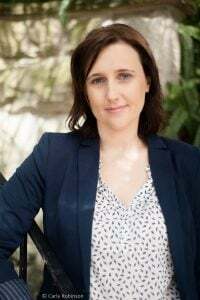 Her illustrations can be found in magazines and books including the Lucia The Luchadoraseries and fabulous Amelia Chamelia series. Alyssa currently resides in stunning Hobart where adventures await each day.